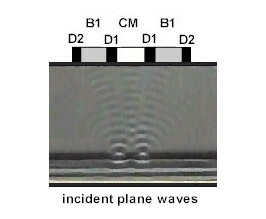 Directions: On this worksheet you will investigate the properties of single slit diffraction along with any similarities and differences it has with double slit interference patterns. 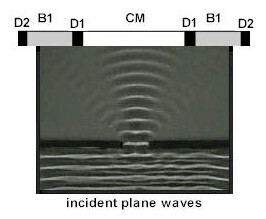 Question 1 Which of the following two intensity diagrams best represents the passage of waves through a single slit? Question 4 Light of wavelength 462 nm passes through a single slit of width 4.5 µm. At what angular deviation, as measured from the middle of the central maximum, would the 1st order dark fringes appear on a screen that is 3.7 meters away? Question 5 What is the width of the central maximum on the screen? Question 6 If the wavelength of light passing through the slit were to be decreased, what changes would be noticed in the width of the central maximum? Question 7 If the wavelength of light passing through the slit remained the same, but the width of the slit was decreased, what changes would be noticed in the width of the central maximum?